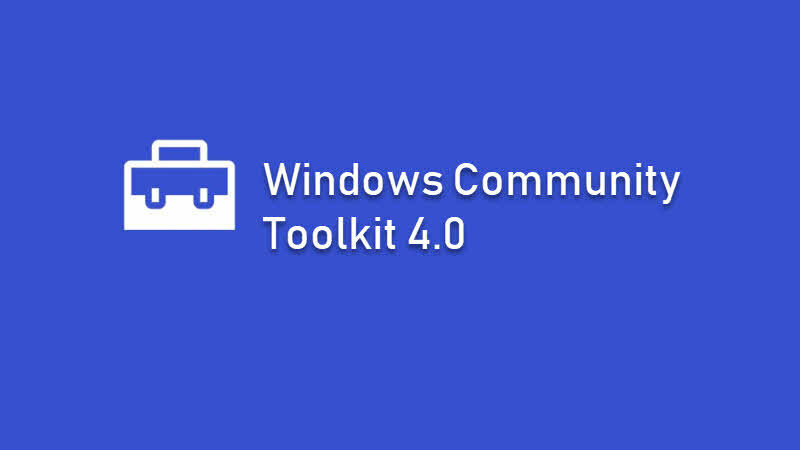 What's new in Windows Community Toolkit 4.0? Along with Windows Community Toolkit 3.0, Microsoft introduced a preview version of a fluent DataGrid control for Windows 10. The control is now stable with more new features, reliability and accessibility. The DataGrid control is now generally available in Windows Community Toolkit 4.0, which retains the programming model for DataGrid from Silverlight and WPF. So the XAML developers can now create a highly flexible tabular visualization of data with editing, data validation and data shaping functionalities with a few simple lines of code in Windows 10. In the Windows Community Toolkit 3.0, Microsoft introduced a new category of UWP controls to enable developers access the Microsoft Graph. With the new updated toolkit, Microsoft introduced two new Microsoft Graph controls: PlannerTaskList and PowerBIEmbedded. The PlannerTaskList enables developers to integrate tasks directly into their apps and allow users to interact with the Microsoft Planner tasks. Whereas the PowerBIEmbedded control enables developers to embed a rich PowerBI dashboard directly in their apps and allow users to interact with the rich data directly. The Windows Community Toolkit contains APIs to make it easy to work with web services such as Twitter, OneDrive, LinkedIn, Microsoft Graph and more. Along with Windows Community Toolkit 4.0, Microsoft moved most of the services (e.g. Twitter, OneDrive, LinkedIn, Microsoft Graph) to .NET Standard services package (Microsoft.Toolkit.Services), so that, those services will now be available to any framework implementing .NET Standard 1.4 and above. How to download the latest version of Windows Community Toolkit? You can download or upgrade to the latest version of Windows Community Toolkit using the NuGet Package Manager. From the Visual Studio IDE, open your project/solution, then navigate to Tools | NuGet Package Manager | Manage NuGet packages for solution... and then search for the packages that you want to download. What are the top issues fixed in Windows Community Toolkit 4.0? Prevents exception on hovering / pressing GridSplitter when its background isn't a SolidColorBrush. If you have come this far, it means that you liked what you are reading (Windows Community Toolkit 4.0 released with new fluent DataGrid, Microsoft Graph controls).